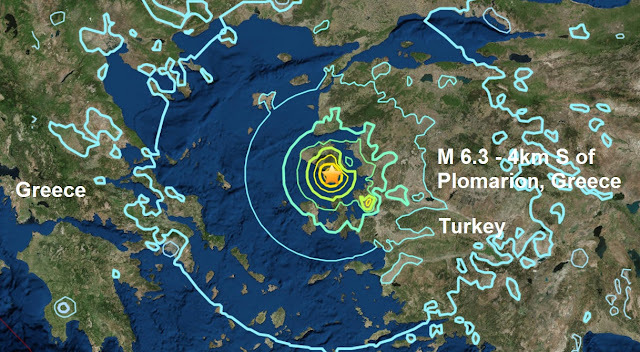 A magnitude 6.3 - 4km S of Plomarion, Greece is just the third major quake of a very quiet June and only the 40th of an incredible record breaking quiet year for major quakes which is almost 50% down on the average total for this time of the year this century. 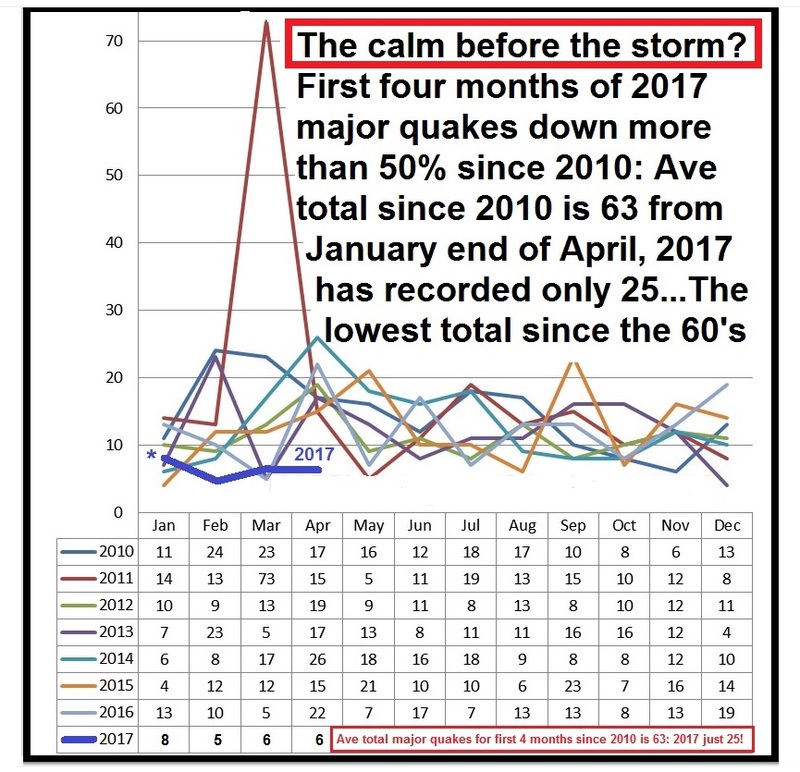 Is it the calm before the storm? 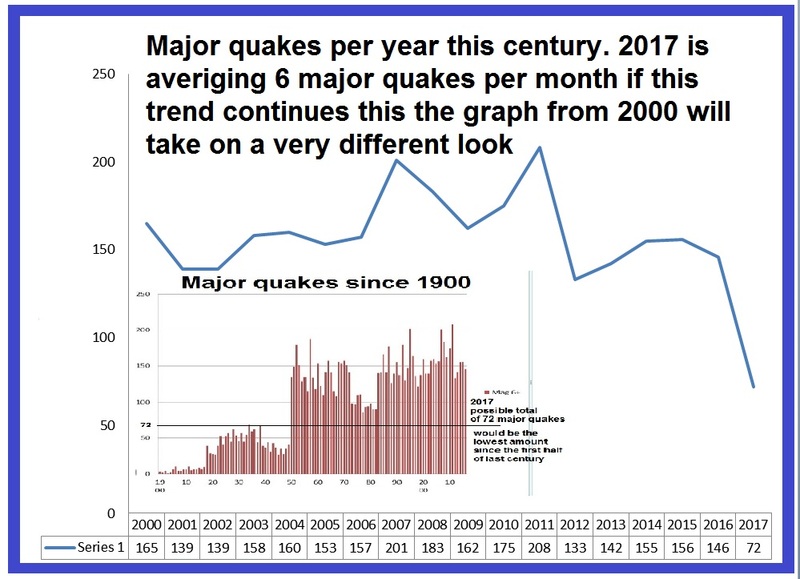 There has never been a drop like this at anytime during the last 117 years! A total of 72 major would be easily the lowest total for one year since the first half of last century when just 41 were recorded in one year according to data from USGS.. 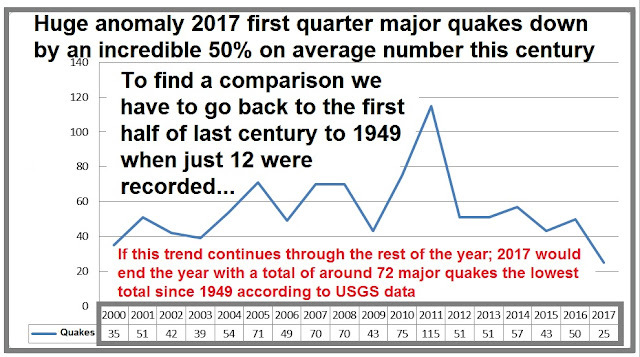 It will come as a major shock to some people but incredibly major quakes in in the first quarter of this year, 2017 is the lowest amount since the first half of last century with just 25 major quakes recorded since January 1st 2017. Incredibly we have to go all the way back to 1949 when just 12 were reported in the first four months of that year! 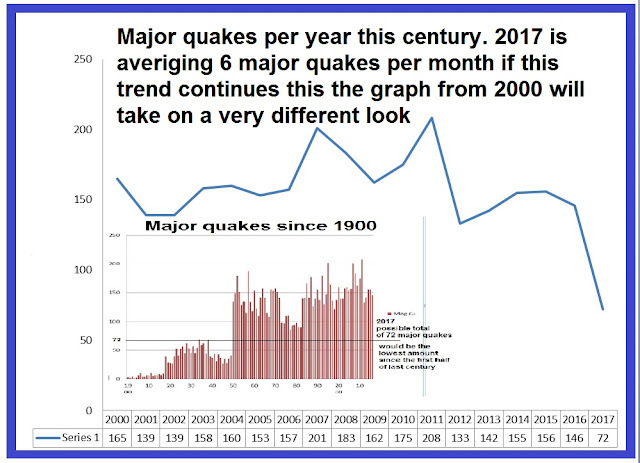 There has never been a drop off like this at any time during the last 117 years! It is a huge anomaly, I can’t even begin to explain it but I will be keeping an eye on the rest of the year, so please stay in tune!